At St. Luke’s, we are proud of the care and education we provide our children. We have a committed staff team who care passionately about making our school the best it can be. Our last Ofsted inspection was in October 2010 and the school was rated GOOD. Many thanks for completing the questionnaire we are delighted to find that the vast majority of parents are very happy with the education and care provided at St. Luke’s. It is extremely useful to receive your feedback in order for us to continue to move the school forward. If you have not returned your questionnaire please return it to school. Our daughter is loving this school. St. Luke’s school is very clean and tidy and my daughter absolutely loves this school and I would not change anything. All the staff are very helpful not just with school problems but outside school problems too. All the staff work hard and it shows in my child’s work. Well done. I’m very happy with this school and impressed with the progress my daughter has made since she started. My son is really happy and the school has surpassed my expectations. St. Luke’s is a great school I would recommend to anyone. I am very happy with this school and I don’t have any worries at all. Thank you for al your help and support with my child. A friendly school where nothing is too much trouble. My child is supported well and nothing goes unnoticed. I am very happy with St. Luke’s. My child has really grown in confidence this year and is progressing real well. My daughter loves coming to school and enjoys her lessons and work invloved. The school really encourages children to grow and has great values at work. I am really happy with the progress and how fast my daughter is learning. My child is very happy and making excellent progress and challenges us at home too! Love the tweets – love to see what the children are doing. Thank you! My little boy enjoys coming to St. Luke’s. This is a very safe, welcoming and happy school. He loves the new after school club! My child loves this school and enjoys coming, the staff are lovely. I have children in Reception and Y6 and both love coming to school and are doing well in their education. 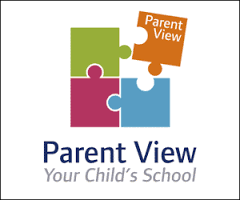 We welcome feedback from parents and carers. Please click the icon below to complete the survey.